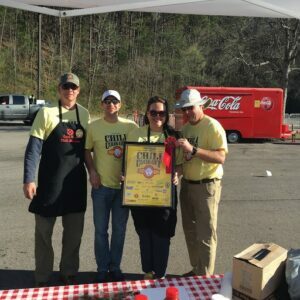 Drummond's Coal Fired Chili Masters Team Brings Home a Ribbon! 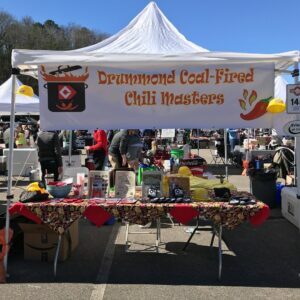 | Drummond Company, Inc.
Drummond’s Coal Fired Chili Masters Team Brings Home a Ribbon! 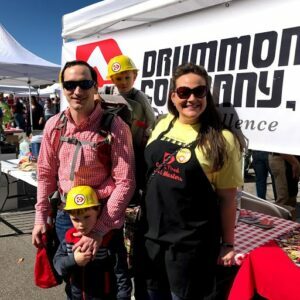 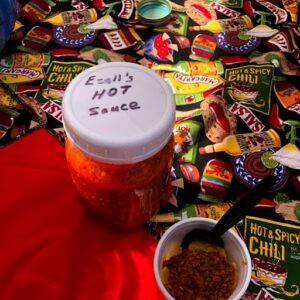 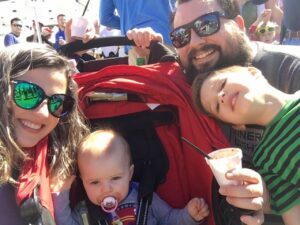 Drummond Company entered the Exceptional Foundation Chili Cook-Off for the first time on March 3 and served chili to more than 15,000 attendees. 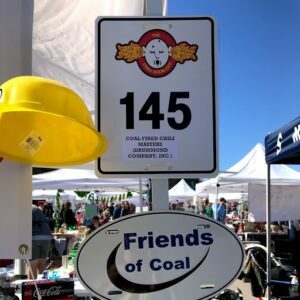 One hundred forty seven teams participated and over $385,000 was raised to support the programs of the Exceptional Foundation. 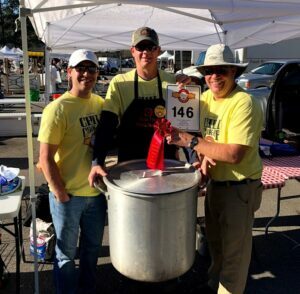 Congratulations to our three chefs, Ezell Webb, Charles Cobb and Wood Neely for cooking up a great batch of chili that won a ribbon for Top 50 Teams! 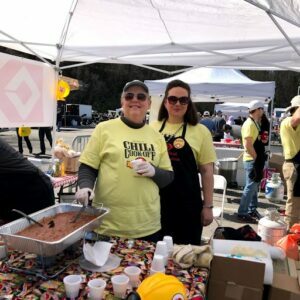 Many thanks to our volunteers who worked the event and served over 15 gallons of the tasty chili; Cindy Burt, Vicki Bush, Krystal Drummond & Chris Williams, Billy & Deb Garrett, Libby Morgan, Mike & Beth Osburn, and Melissa Stevenson. 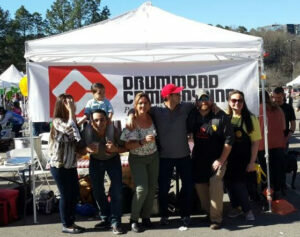 Team volunteers enjoyed seeing all of the employees, friends and Drummond family members who came out to represent! 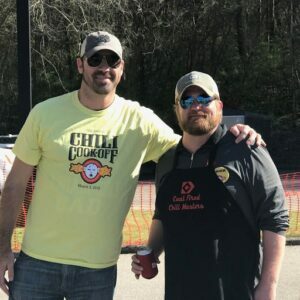 A great time was had by all while supporting an important cause. 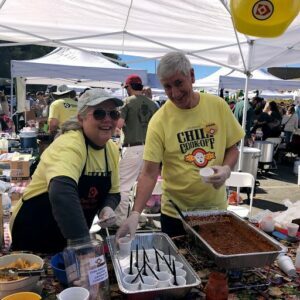 The Coal Fired Chili Master Team is fired up to do it again next year! 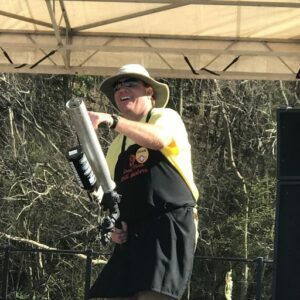 The Exceptional Foundation provides year-round services to individuals with special needs who have reached the age of 21 and no longer receive services from school systems. 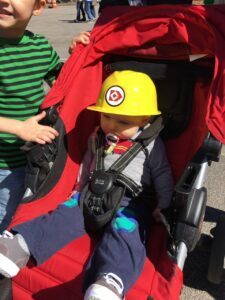 Programs are also offered to the school-age exceptional population through after-school activities and a summer camp. 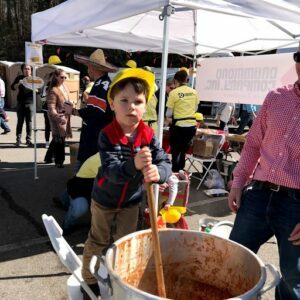 The Exceptional Foundation currently serves over 640 individuals in Greater Birmingham through its various programs throughout the year. 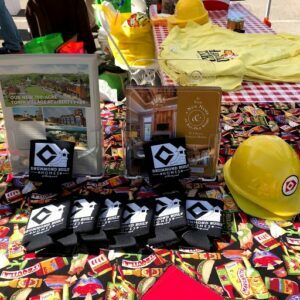 For more information about The Exceptional Foundation or the event, please visit the foundation’s website at https://www.exceptionalfoundation.org.